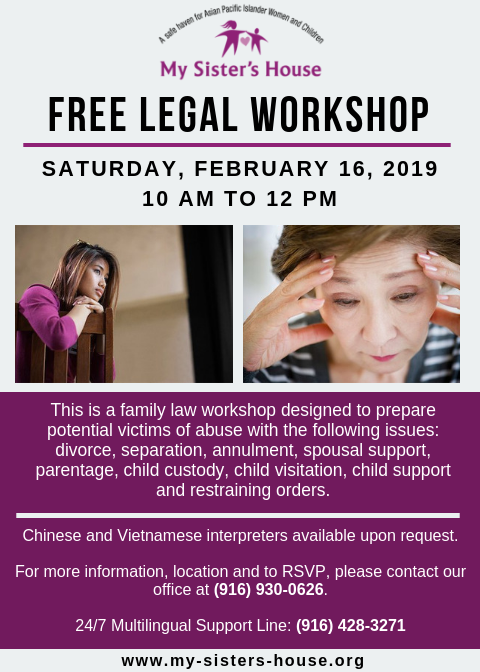 This is a family law workshop designed to prepare victims and potential victims of abuse with the following issues: divorce, separation, annulment, spousal support, parentage, child custody, child visitation, child support, and restraining orders. Chinese and Vietnamese interpreters available. Please call 916-930-0626 to RSVP and for meeting site.